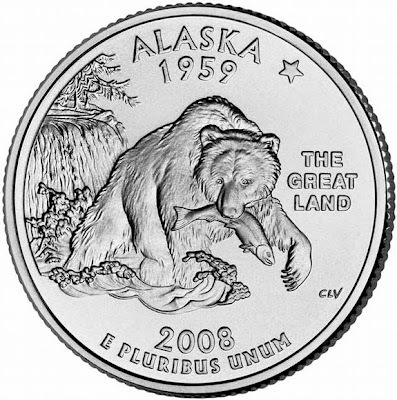 Alaska is celebrating 50 years of Statehood this year, with a commemorative coin, license plate and stamp. It gained statehood in 1959. Before this time it was classed as a territory after Secretary of State William H Seward purchased the area from the Russians for $7.2 million in 1867. The land was bought for its mineral wealth, salmon and timber and also as a last frontier for America. After many years of political upheaval and times of economic hardship, it became a state in 1959. This year is truly a great time to visit Alaska in fact, the State of Alaska is putting on special events and exhibitions throughout the year to attract new travelers. See the links below for further details. One thing is for sure, 2009 is the year to make the trip to Alaska!